Latest Premier League Transfer news. 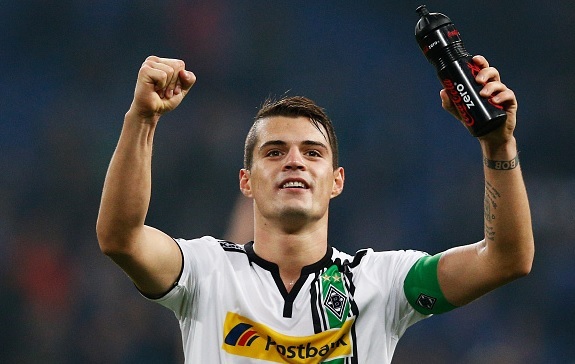 Liverpool boss Jurgen Klopp is keeping close tabs on Borussia Monchengladbach star Granit Xhaka. Liverpool manager Jurgen Klopp is keeping close tabs on Borussia Monchengladbach star Granit Xhaka, according to reports in Germany. The reports have revealed that the Switzerland international midfielder has been linked with a move away from Bundesliga since the start of this year. Xhaka has been an exceptional player for Monchengladbach since his move from FC Basel in 2012. Liverpool boss Klopp has not signed a player since joining the Reds last year but now is planning to seal his pre agreement in the coming days. However, he will have to fight Premier League clubs Arsenal and Manchester City as they all are also in the race but the Reds are currently leading the race. Arsenal boss Arsene Wenger might not take interest in the summer window as he signed Mohamed Elneny from Basel last month. Meanwhile, German giants Bayern Munich are also monitoring his situation and could make a surprise bid in the summer. The 23-year-old is a versatile midfielder can be used in various midfield positions. He has made more than 120 appearances for the German side since joining them. He has also made 34 appearances for Switzerland.